January 28 is the date set aside annually as Data Privacy Day. 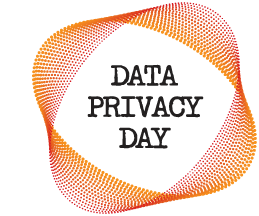 The official Data Privacy Day theme is: Respecting Privacy, Safeguarding Data and Enabling Trust. Let us take a closer look at why we would want to safeguard our data and steps we can all take for keeping our data safe. Home computers have rapidly become the storage place not only for personal correspondence but also for financial data, including bank records and government tax return forms. This information in the wrong hands can, and does, result in identity theft. What about your smart phone? Do you check in at every location as you go about your daily travels and share it on Twitter or Facebook? Do you announce and document business or family trips? Protect your wireless router with a password. Firefox 18.0.1 was sent to the release channel today by Mozilla to solve several bugs. The Release Notes include additional changes and fixed features in version 18. For a complete note of all fixes, see the Bug Fixes in the link below in References. Microsoft released an out-of-band security update to address the issue described in Security Advisory 2794220. This update is critical if you have Internet Explorer versions 6, 7 or 8 installed on your computer. Windows XP users of IE6 or IE7 should update to IE8 as soon as possible. Windows Vista and Windows 7 users should be using IE9. Even with the update, if your operating system is Windows Vista or Windows 7, update to Internet Explorer 9. For Windows XP, your system will be more secure if you update to Internet Explorer 8. If you applied the Fix it released in Security Advisory 2794220, it will not need to be uninstalled before applying the security update. The advice of the U.S. Department of Homeland Security, US-CERT, security software vendors and others advising that Java be uninstalled appears to have spurred the early release of an out-of-band security update for Java SE. Ahead of the Critical Patch Update Pre-Release Announcement which had the update scheduled for Tuesday, January 15, 2013, the update for Java version 7 update 11 has been released. Edit Note: Additional vulnerabilities have been found in the latest Java update, which did little other than adjust the settings to the Java Control Panel. See Java, The Never-Ending Saga for additional information on removing or disabling Java. If you uninstalled Java, consider that you really may not need it on your computer. On the other hand, if there are programs you use or websites that you visit that require Java, it is strongly advised that the update be applied as soon as possible. Once again there are reports of a Java zero-day vulnerability being actively exploited in the wild. All versions of Java are impacted, including the most recent release, JRE 7, Update 10. With any version of Java installed on your computer, visiting a malicious link can result in a serious malware infection. Significantly, the exploit is not operating system and, although currently targeting Windows systems, can also run the same code on Mac OS X or Linux. Edit Note: The recent Java update 11 did little other than adjust the settings to the Java Control Panel. Additional vulnerabilities have been found in that latest Java update. See Java, The Never-Ending Saga for additional information on removing or disabling Java. First and foremost, most home computer users do not need Java installed on their computer. In the past, Java was needed for websites to be properly displayed. However, that is generally not the case now. I uninstalled Java several years ago and have not had a need for it. The update to Java JDK 7u10 includes the option to disable Java in the browser. Thus, if you have a business need to use Java, play online games or use OpenOffice, disable Java. 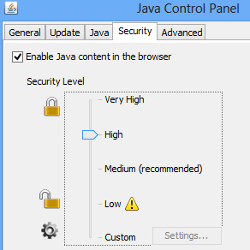 All you need to do is uncheck the box "Enable Java content in the browser" in the Java Control Panel. In the event Java is needed for software installed on your computer, there should be a prompt for it. In that situation, launch the Java Control Panel and re-check the option to enable Java. Then, remove the check again when finished. Adobe AIR 3.5.0.880 and earlier versions for Windows, Adobe AIR 3.5.0.890 and earlier versions for Macintosh and Adobe AIR 3.5.0.880 for Android. See Determine version | Adobe AIR runtime. Adobe released security updates for Adobe Reader and Acrobat XI (11.0.0) and earlier versions for Windows and Macintosh. Also released were security updates for Adobe Reader 9.5.1 and earlier 9.x versions for Linux. These updates address critical vulnerabilities that could cause a crash and potentially allow an attacker to take control of the affected system. Microsoft released seven (7) bulletins addressing 17 vulnerabilities in Microsoft Windows, Office, Developer Tools and Windows Server. Two bulletins are identified as Critical and five as Important. *If you have problems with .NET Framework updates, it is recommended that you install this update separately with an shutdown/restart. Firefox 18 was sent to the release channel today by Mozilla. Included in the update are twelve (12) critical, seven (7) high and one (1) Moderate security update. Based on the extensive list of security updates, it is recommended that the update be applied as soon as possible. Included in the update is the revocation in trust of two TURKTRUST certificates. The Release Notes include additional changes and fixed features in version 18. As with previous versions, the update includes a long list of Bug Fixes, referenced below. I asked and Bill did it! Bill came through. Thank you, Bill. Bug fixes include the" First Detected" Date for Active Tasks and when hiding the Scotty System Tray icon. "Run As Adminstrator" for any programs launched by WinPatrol in Delayed Start list. Note: This feature is only available with WinPatrol PLUS. Right-click on any file with WinPatrol and select "Restart Windows for Repair in Safe Mode." Although the latest version update includes Windows 8 features, WinPatrol runs on Windows XP, Vista and Windows 7, Windows 8 including x64 versions. Go here for additional information about the update and to download WinPatrol. With up-to-date security updates, your computer was protected with the installation of Microsoft Knowledge Base Article 2677070, released on June 12, 2012. The update provides an automatic updater feature which includes a mechanism that allows Windows to specifically flag certificates as untrusted. With this feature, Windows checks daily for updated information about certificates that are no longer trustworthy. In the past, movement of certificates to the untrusted store required a manual update. If you have not installed KB 2677070, it is strongly advised that you do so as soon as possible. Because the automatic updater feature is not applicable to Windows XP and Windows Server 2003, it is necessary for users of these systems to manually check for updates. On Tuesday, January 8, 2013, Microsoft is planning to release seven (7) bulletins addressing twelve (12) vulnerabilities. Two bulletins are identified as Critical and address vulnerabilities in Microsoft Windows, Office, Developer Tools and Microsoft Server Software. The five remaining bulletins are rated Important and will address issues in Microsoft Windows, .NET Framework and Microsoft Server Software. How well I remember the January 2006 e-mail congratulating me on being presented with the Microsoft® MVP Award. I knew that I had been nominated but, at the time, had no idea how the award cycle worked so the award came as a complete shock. Recalling that first award, it arrived following a particularly difficult time in "real life", resulting in a sort of personal renewal to dig in and continue with renewed enthusiasm. Once again, I have been faced with a troublesome time -- this an event that had a profound effect on our local community, the Christmas Eve shooting of four volunteer firefighters from the neighboring West Webster Fire District (#WWFD) when volunteer firefighters Mike (Chip) Chiapperini and Tomasz Kaczowka lost their lives and Theodore Scardino and Joseph Hofstetter were seriously injured. Since the Christmas Eve tragedy, one thing aside from the coming together of the "Brotherhood" that stood out was the support of people not only in the local community but also across the U.S. and Canada. There was a resounding repetition locally and throughout the U.S. and Canada of unselfish occurrences of "Pay it forward" as people attempted to demonstrate appreciation to local and visiting firefighters, first responders, police and others in public service. Hundreds upon hundreds of people volunteered their time to the community during this trying time. What I continued to reflect on as the end of 2012 approached was not only those who volunteer in our community but also how many people volunteer time and expertise to help others in both life-threatening situations and in every day life. I couldn't help but feel that I wasn't doing my part. When I received the e-mail this morning recognizing my volunteer efforts in Consumer Security, helping people with infected computers, it slowly dawned on me. Perhaps I am doing some good, freely helping others. Congratulations! 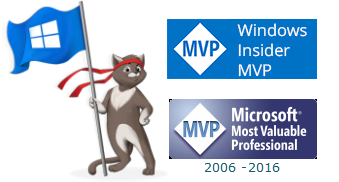 We are pleased to present you with the 2013 Microsoft® MVP Award! This award is given to exceptional technical community leaders who actively share their high quality, real world expertise with others. We appreciate your outstanding contributions in Consumer Security technical communities during the past year." Let the heroes of West Webster and around the world, the "random acts of kindness" serve as inspiration and challenge to you to Pay it Forward in 2013, volunteering or helping others in some small way.